The urge to discover patterns in our surroundings appears to be a fundamental human trait. Thousands of years ago, our remote ancestors built massive stone monuments that were precisely aligned to significant points in the annual solar cycle. And in the 19th century, thoughtful chemists noticed family resemblances among the elements and tried to embed them in an explanatory paradigm. 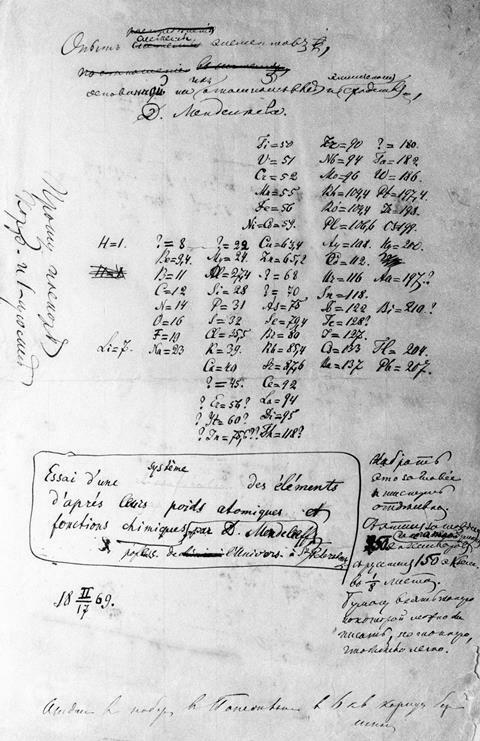 A century and a half ago, Dmitri Mendeleev took a crucial step in this search for order among the elements, by publishing the first draft of his periodic table. In 2019 the world-wide community of chemists is celebrating this anniversary, and rightly so. Like Stonehenge, the table reflects regularities in nature which were due to causes that remained mysterious when it was originally constructed. But how did Mendeleev come to build his monument? Dmitri grew up in Siberia, on the outer edge of western civilisation. His home, Tobolsk, is 1000km nearer to Beijing than to Paris, and his pathway from there to scientific eminence was difficult. He was the youngest of more than a dozen Mendeleev siblings, and soon after his birth in 1834 ill-health forced his father Ivan, a high-school teacher, into retirement. The inadequacy of Ivan’s pension drove his wife Maria to take on the management of a semi-derelict glass-works, formerly run by her brother. This enterprise supported the family until 1848, when it burnt down. Then Ivan died, and in 1849 Maria took her two youngest children to Moscow, hoping that her brother would help Dmitri enter university there. When this plan failed, they moved to St Petersburg and in 1850 Dmitri was accepted (somewhat reluctantly) by the college where his father had trained as a teacher. A lecturer there – Alexander Voskresensky, who had studied in Germany under Justus Liebig – encouraged Dmitri’s interest in chemistry. He graduated in 1855, and his dissertation – on isomorphism and other relationships between physical form and chemical composition – was published in a mining journal. Further articles for scientific and technical periodicals followed, but he lacked a secure income. By then both his mother and sister had died, and he himself was suffering from what appeared to be tuberculosis. However, a year teaching in the more benign climate of the Crimea improved his health significantly, and a new doctor confidently dismissed the previous diagnosis. 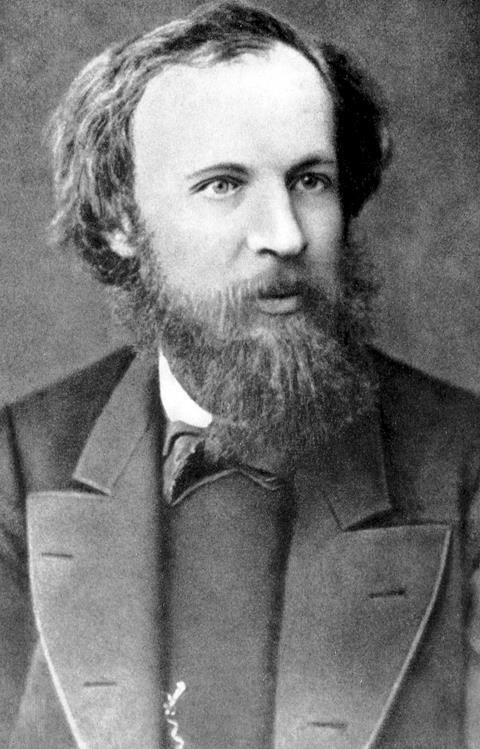 In the autumn of 1856 Mendeleev successfully defended a master’s thesis on relationships between the specific volumes of substances and their crystallographic and chemical properties. Shortly afterwards the University of St Petersburg licensed him as a chemistry tutor, allowing him access to its laboratory. In 1859 he received state funding for two years of advanced study abroad. At Heidelberg University in Gemany, Mendeleev did research on several topics, including surface tension, capillarity and evaporation, and he retained an interest in intermolecular forces throughout his career. In 1860 he attended the Karlsruhe conference, where the Italian chemist Stanislau Cannizzaro delivered a ground-breaking paper on atomic weights (now called relative atomic masses). This was a crucial step towards the periodic system, as previously there had been considerable dispute over the assigning of atomic weights to the elements. Some chemists claimed these weights were irrelevant, or denied the physical existence of atoms altogether. Others preferred a system based on an atomic weight of eight for oxygen, assuming that water’s formula was HO, rather than H2O. But at Karlsruhe Cannizzarro revived the ideas of his fellow-countryman Amadeo Avogadro to support the H2O water formula, and an atomic weight of 16 for oxygen. During the 1860s opinion shifted in his favour – fortunately for Mendeleev, as the regularities which pointed him towards the periodic table would have been less visible on the older system. 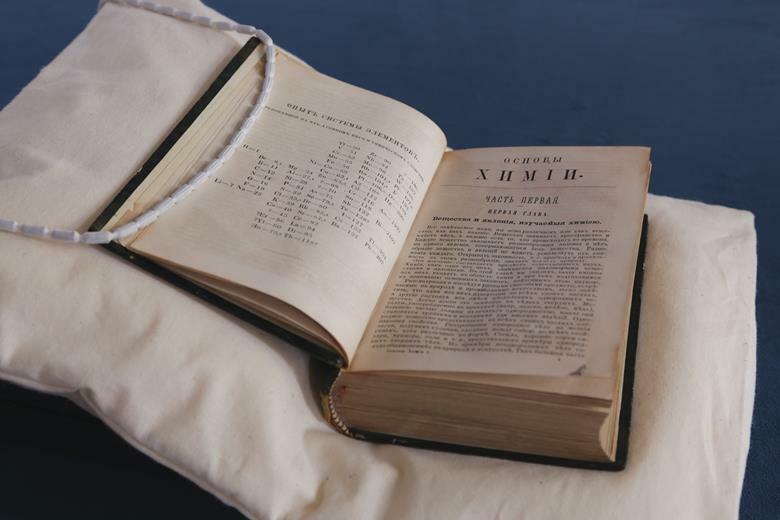 After returning to St Petersburg in 1861 Mendeleev resumed teaching at the university, while also lecturing at the city’s Technological Institute. In addition, he published an organic chemistry textbook and several articles for a technical encyclopaedia, as well as travelling widely in search of opportunities to apply scientific discoveries to Russia’s economic development. A visit to the Baku oilfields in 1863 began his long-term commitment to the emerging petrochemical industry, for example. Mendeleev’s doctoral thesis (on solution theory) was accepted in 1865, and in 1867 the university appointed him professor of general chemistry. He was required to lecture on inorganic chemistry, and since there was no satisfactory Russian textbook, he began writing one. This focussed his mind on the challenge of arranging the chemical elements in an orderly pattern. Several others – including Leopold Gmelin in Germany, Jean Baptiste Dumas in France and John Newlands in England – had attempted this, with limited success. Mendeleev was aware of some of these efforts, but his own approach was distinctive in important respects. Mendeleev laid out his cards in columns and rows, as if in a game of solitaire or patience – a favourite pastime of his during railway journeys. The vertical columns listed the known elements in order of increasing atomic weight, with a new column being started whenever this enabled him to fit elements with similar characteristics into the same horizontal row. As other chemists had noted, a few groups of elements – in particular the alkali metals and the halogens – clearly belonged together. But many others – especially the rare earth elements (lanthanides) – presented problems however they were arranged. At this point Mendeleev, unlike most of his predecessors, refused to give up the struggle. If an element’s position in his table seemed anomalous, he was willing to adjust its atomic weight to give it more compatible companions. For example, he proposed that the formula for beryllium oxide was BeO, rather than the accepted Be2O3. This lowered beryllium’s atomic weight, enabling him to locate it with magnesium rather than aluminium. On the 6th of March 1869 the first rough sketch of his table was presented to the Russian Chemical Society (an organisation he had helped to found a few months previously). Later that year the society’s journal published a more considered version, a short abstract of which appeared in German translation. It attracted little attention outside Russia but Mendeleev persevered, continuing to lay out more cards on his table. The revised diagram Mendeleev published in 1871 looks more familiar to modern eyes. To compile it he made further assumptions. For example, he lowered the atomic weight of tellurium, making its neighbour iodine the heavier of the two. This allowed him to place iodine with the halogens, and tellurium with sulfur and selenium. Such adjustments were arguably within the range of experimental error at that time. But Mendeleev could not have foreseen that atomic number rather than atomic weight would later become the table’s ordering principle, or that the identification of isotopes by mass spectrometry would eventually explain these and other anomalies. With equal audacity, Mendeleev enhanced the coherence of his table by leaving gaps for as-yet undiscovered elements to complete the pattern he envisaged. Besides predicting their chemical character, he also assigned them notional values for physical properties like specific gravity and melting-point. The first – gallium – was identified spectroscopically by a French chemist, Paul Lecoq de Boisbaudran in 1875. When enough of it became available for testing, all gallium’s properties matched Mendeleev’s predictions – except its specific gravity, which appeared to be 4.7. However, after Mendeleev recommended fresh measurements it was found to be 5.9 – virtually identical with his predicted figure. While he was correct about the over-arching principle of periodicity, Mendeleev was not infallible as a prophet. He predicted several other elements which were never found. And he argued until the end of his life that the ether – an essential but undetectable component in then accepted theories of light and electromagnetism – was really a chemical element, even though he had failed to isolate it in the laboratory. He suggested it might be the lightest of the noble gases, with an atomic weight of 0.17. In his private life, Mendeleev was defiantly unconventional. He had his hair cut and beard trimmed only once a year, declining to vary this custom even for an audience with the Czar. Also, his domestic arrangements were somewhat irregular. In 1862 he married Feosva Lescheva, having been steered in her direction by a well-meaning elder sister who thought it was time he settled down. The couple had two children, but following a period of increasing mutual unhappiness they agreed to separate, alternately occupying Dmitri’s town house and his country retreat. Several years later Dmitri fell in love with Anna Popov, a 17 year old art student. When Anna’s parents sent her away to continue her studies in Rome, Dmitri followed her, and in 1881 the 47 year old proposed marriage. Anna accepted, but even after Dmitri and Feosva were divorced a further obstacle remained. The Russian Orthodox Church recognised civil divorces, but demanded a seven-year interval before a subsequent marriage. Nevertheless, in 1882 Dmitri found a priest willing (for a substantial fee) to perform the ceremony prematurely, and despite their ambiguous – and technically bigamous – situation, the couple lived happily together and raised four children. 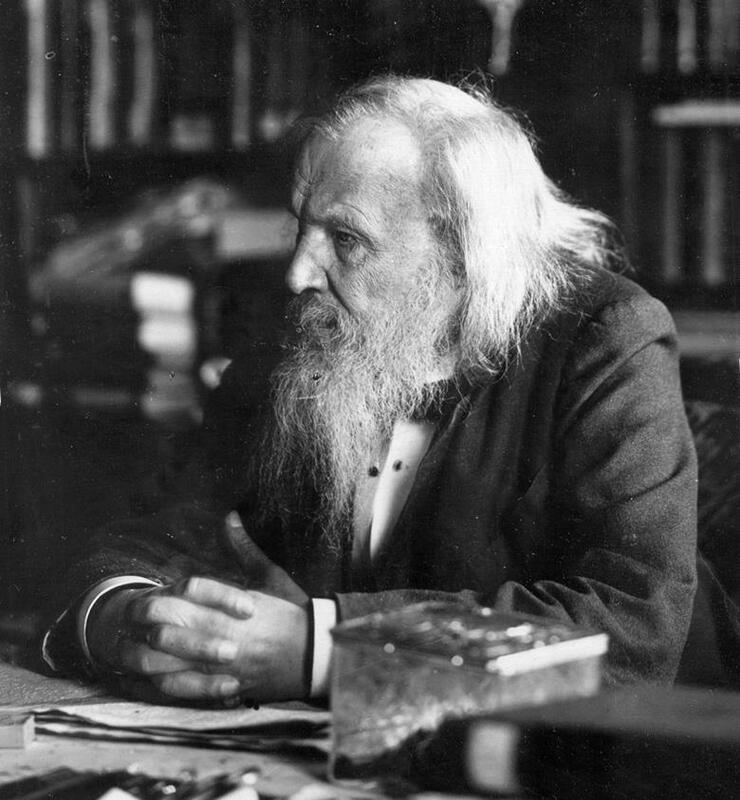 In politics Mendeleev was also a maverick – an outspoken liberal who resigned his professorship in 1890 to dissociate himself from the government’s harsh suppression of student protests. This gesture was applauded by his students but provoked hostility in official circles. Nevertheless, Sergius Witte, Russia’s minister of finance from 1892, appreciated the value of Mendeleev’s contributions and in 1893 appointed him head of the government’s bureau of weights and measures. From this base he continued applying scientific knowledge to assist Russia’s economic development. In 1905 London’s Royal Society honoured Mendeleev with its Copley medal, having already received its Davy medal in 1882. In 1906 he was nominated for the Nobel prize, but although the chemistry panel supported his candidature the awards committee ruled that his discovery was not recent enough to qualify him for consideration. The decision was probably influenced by the Swedish physical chemist Svante Arrhenius, who had clashed with Mendeleev in the past. Almost half a century after his death in 1907, Mendeleev joined an even more exclusive club. In 1955 physicists at the University of California’s Berkeley campus bombarded element 99 (einsteinium) with alpha particles to produce traces of element 101. Officially confirmed as ‘mendelevium’, this new element embedded his name in the icon which he had created. By then the table’s layout was becoming explicable in terms of sub-atomic structures and quantum energy exchanges, at a level of detail Mendeleev could never have foreseen. However, this in no way diminishes the stature of his achievement. Others before him had suggested that the list of known elements might be arranged in a meaningful pattern. They noted significant correspondences, but found no definitive picture. Mendeleev, however, was convinced that the chemical elements must be viewed as a collective entity. Armed with this conviction, he gave his table coherence by boldly revising the positions of some known elements, and by leaving gaps for others as yet undiscovered. Although some of his predictions were incorrect, he scored enough hits to establish his table as the basis for our understanding of the elements, and to confirm his status as one of the founders of modern chemistry.